Explore the numerous day-trip ideas around Sydney: Blackheath (Victory Theatre Antique Centre & Gallery Blackheath), Katoomba (Echo Point Lookout, The Three Sisters, & more) and Everglades Historic House and Gardens (in Leura). Spend the 5th (Tue) exploring nature at Sydney Harbour National Park. And it doesn't end there: don't miss a visit to Sydney Opera House, trek along Bondi to Coogee Beach Coastal Walk, see the interesting displays at Australian National Maritime Museum, and wander the streets of Darling Harbour. 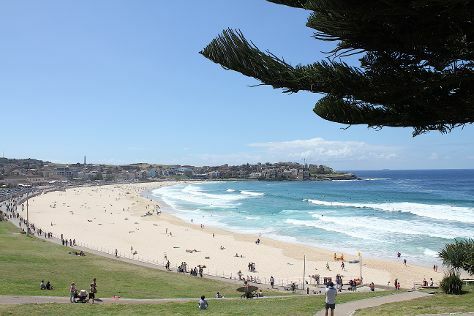 To find more things to do, traveler tips, where to stay, and tourist information, go to the Sydney trip planner . If you are flying in from Australia, the closest major airport is Sydney Kingsford Smith International Airport. In January, plan for daily highs up to 32°C, and evening lows to 23°C. Cap off your sightseeing on the 13th (Wed) early enough to travel to Madrid. Get out of town with these interesting Madrid side-trips: Toledo (Catedral Primada, Iglesia de San Andres, & more). On the 18th (Mon), spend an exhilarating day on the slopes at Puerto de Navacerrada - Estacion de Esqui. The adventure continues: examine the collection at Prado National Museum, browse the eclectic array of goods at Mercado San Miguel, explore the activities along Retiro Park (Parque del Retiro), and explore the world behind art at Museo Nacional Centro de Arte Reina Sofia. To see more things to do, where to stay, maps, and tourist information, go to the Madrid tour itinerary website . You can fly from Sydney to Madrid in 25 hours. Alternatively, you can do a combination of bus and flight; or do a combination of train and flight. You'll gain 9 hours traveling from Sydney to Madrid due to the time zone difference. Traveling from Sydney in February, expect Madrid to be much colder, temps between 13°C and 3°C. On the 27th (Wed), wrap the sightseeing up by early afternoon so you can travel back home.